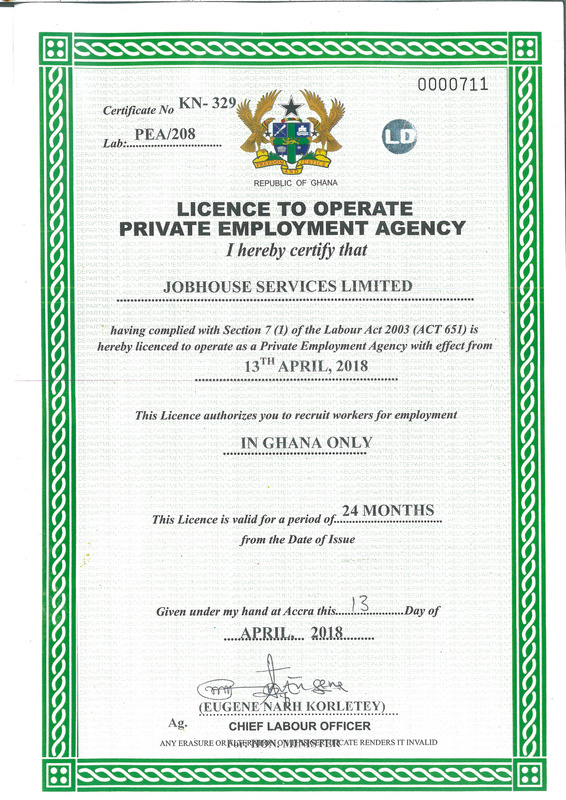 JobHouse (the operators of this xycareers.com website) is one of the few distinguished employment agencies in Ghana with valid certificate from the Labour Department of the Ministry of Employment and Labour. We comply with all requirements and uphold best practices. You can rely on us.